Milka from Crafty Milka here. You can find this adorable image and many many more in Kitty Bee Designs Etsy Store. 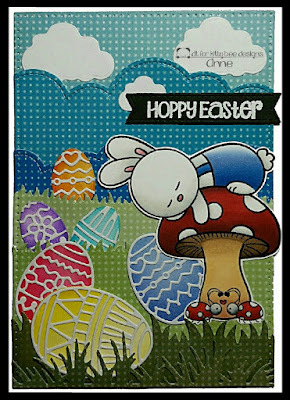 For more details about my today's card, hop over to my blog Crafty Milka. Hi! I hope you're all having a wonderful week!! 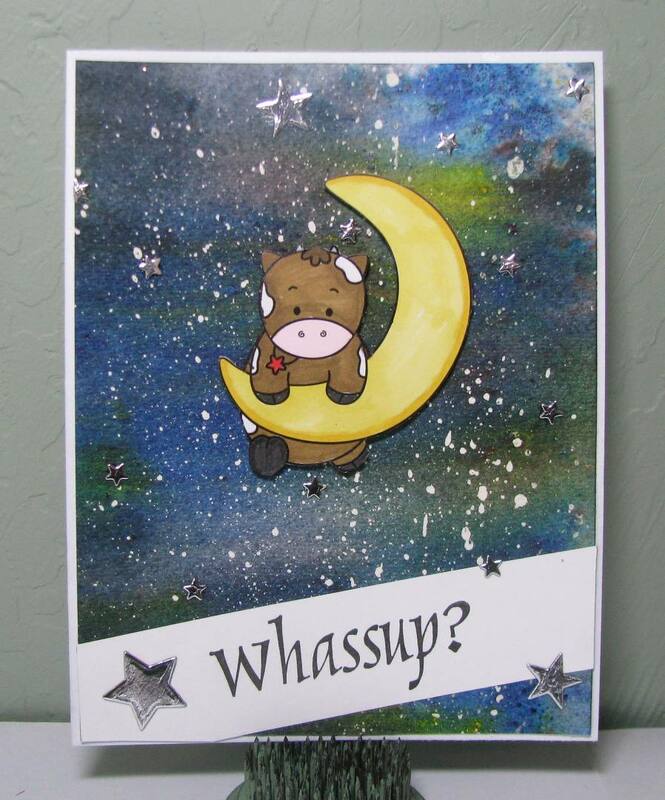 It's Karla here today with a neat gatefold card using the sweet Kitty Bee Designs - I Heart Unicorns Panda digi image. She's just so cute!! 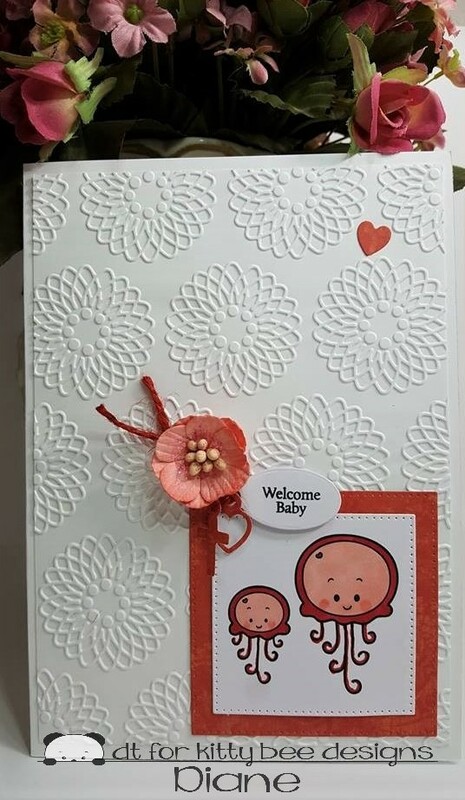 It definitely wasn't hard to come up with lots of ideas to use her ;) I coloured her up with colored pencils and cut her out with a Spellbinders Nestabilties die before layering her on this bright flowery card. Thanks so much for stopping by today! Be sure to head over to my blog post HERE where you can see how the card looks opened up and see what I put inside! I love coloring Kitty Bee Designs digital stamps because they print so clearly and just so delightful. I have a CAS style so these are the perfect stamps for my designs. Hello Crafty People! Ek here from ekgorman designs, and I am bringing a slightly different card (for me) to the blog today. Normally, I color my backgrounds with my markers or colored pencils, but today, I am playing with some oxides along with the super cute digi Emilee the Elephant. I colored Emilee today with my copics, and then layered Shaded Lilac, Wilted Violet, and Seedless Preserves Distressed Oxides. Thanks so much for stoping into to say hello today. I thought this gorgeous Sleeping Mushroom Rabbit from Kitty Bee Designs Etsy Store would be just perfect to create a cute Easter wish. I created a scene to make it look like the rabbit deserved the nap he's taking, after lugging those *huge* eggs into place. You can check out my blog for all the details on how I made this card. For my Spotlight card today for March, I have created a sweet clean and simple design. I used the little Sea Buddies Jelly Bellies welcoming a new baby. 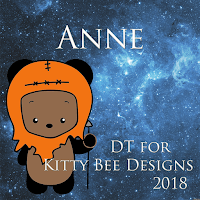 You can find this adorable digi in the Kitty Bee ETSY Shop. I hope you are inspired. I wanted to find a different use for this cute little cow instead of a baby card. I had made this galaxy background with Brusho's a while back, and thought it would be perfect for a cow jumping the moon. 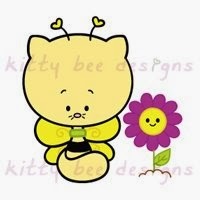 And I love the sentiment with this image! I hope you're all having a magnificent March! He's turning ONE this month (and I feel so old LOL)! 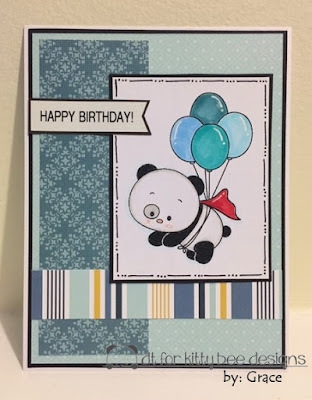 For this card I used SUPER HERO PANDA! and for more details about this card, hop over to my blog, here! 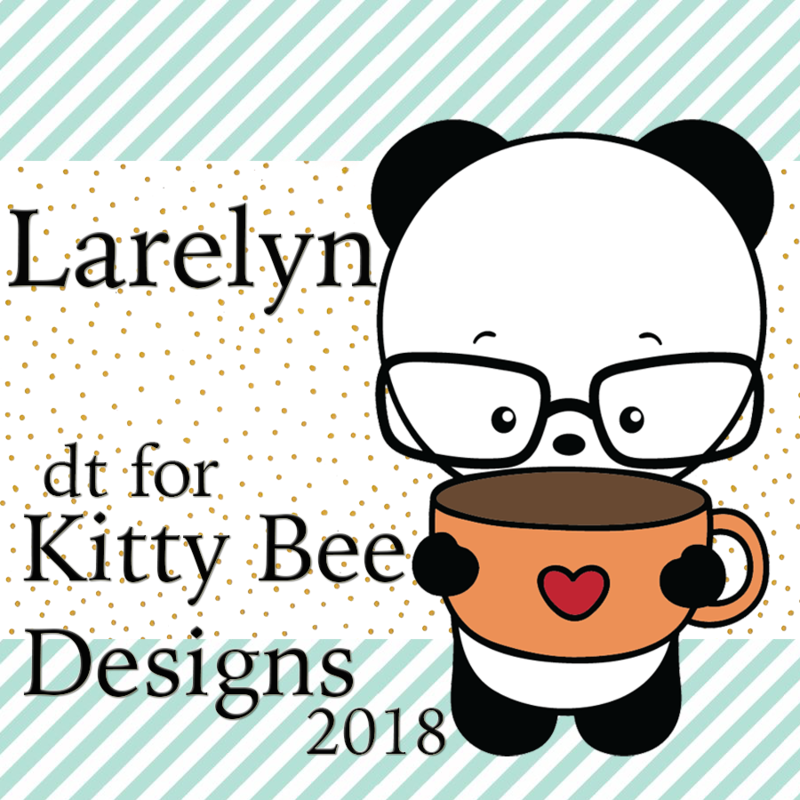 Welcome to my spotlight post. 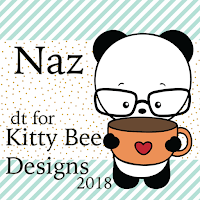 This time I have used one of the newer images. This is the sweet panda from the shop HERE. Kept it simple & just used some grey & pink on her. Cut out with the tiny boarder & added to the journal cards & the kraft embossing card. All on some gold card. My other extras are the paper flowers,gold glitter & sentiment. 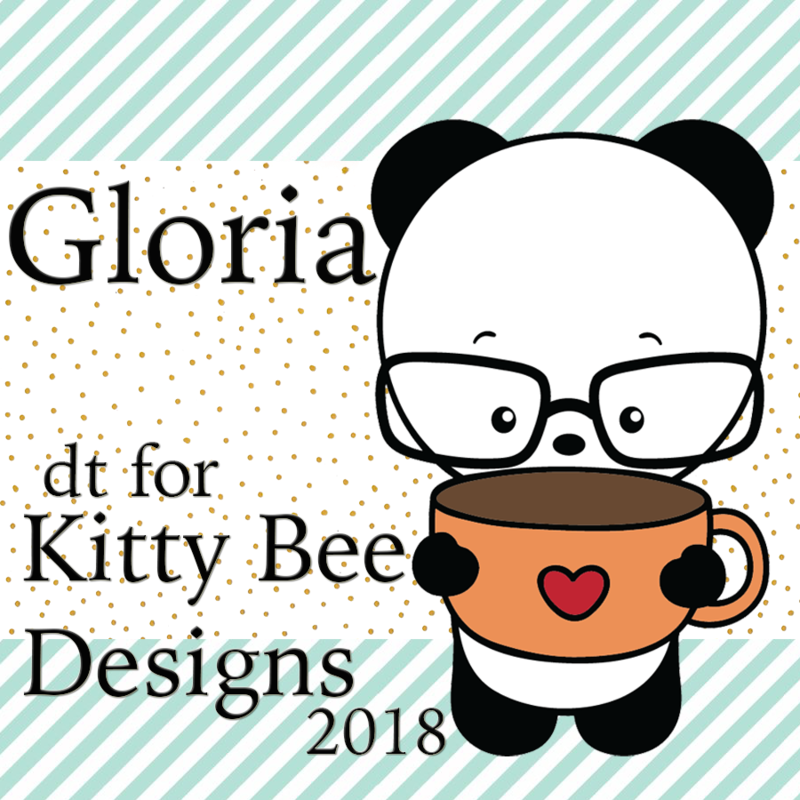 Gloria here today with Kitty Bee Designs March DT spotlight. 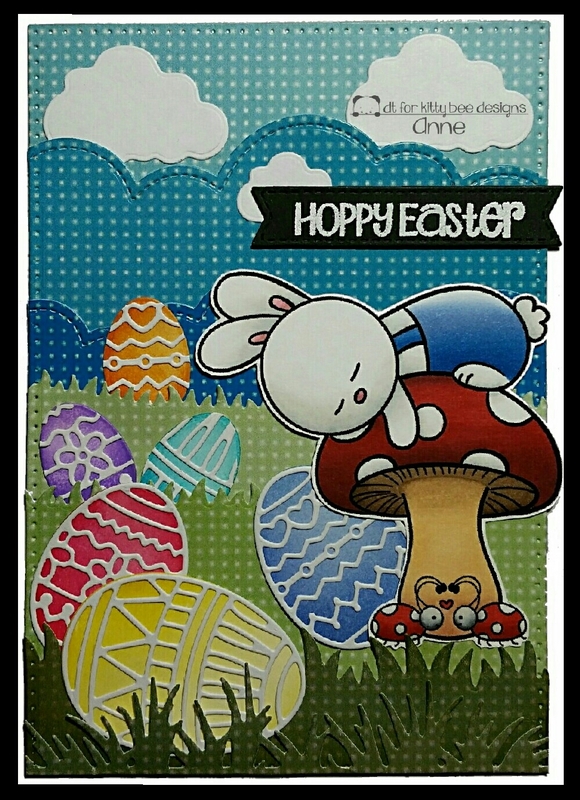 I want to sharing with you a cute Easter card using Easter Basket Bun digital stamp from Kitty Bee Designs. 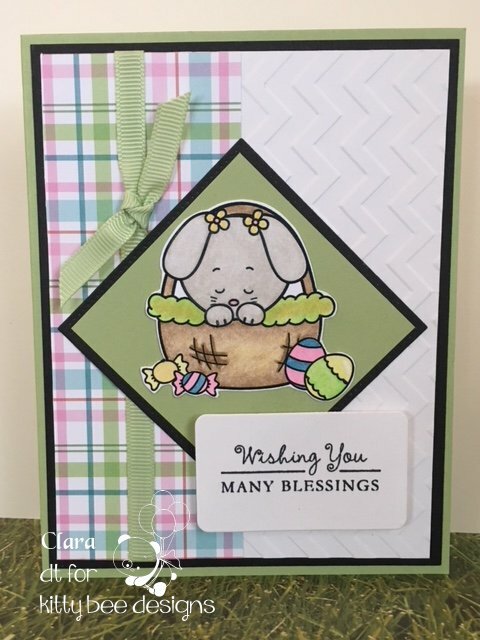 I'm back again with another cute card made with an image called Easter Basket Bun from Kitty Bee Designs! This is the image that I am using to make all of my Easter cards this year..... Easter is just a month away so you have time to get your image and cards made too! You can find this adorable image here in the KBD Etsy shop. I hope you like my spotlight card for this month. I'll be back again on the first Sunday of next month with another spotlight card to share. I hope you all have a wonderful Easter! 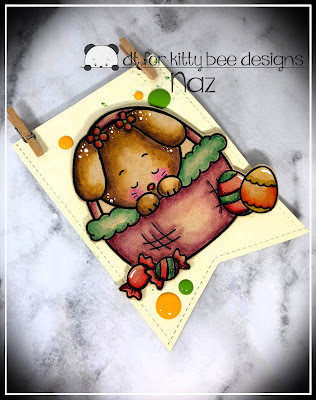 For this project I used this adorable image called "Easter Basket Bun"
I coloured this cute image using my watercolour pencils, I haven't been using them for a while and now I wonder why did I stop using them?? after finished colouring then I fussy cut the image and used some wink of Stella glitter pen to add some glitter to the image for her nose and the flowers on her head I added some glossy accent to finish it off.